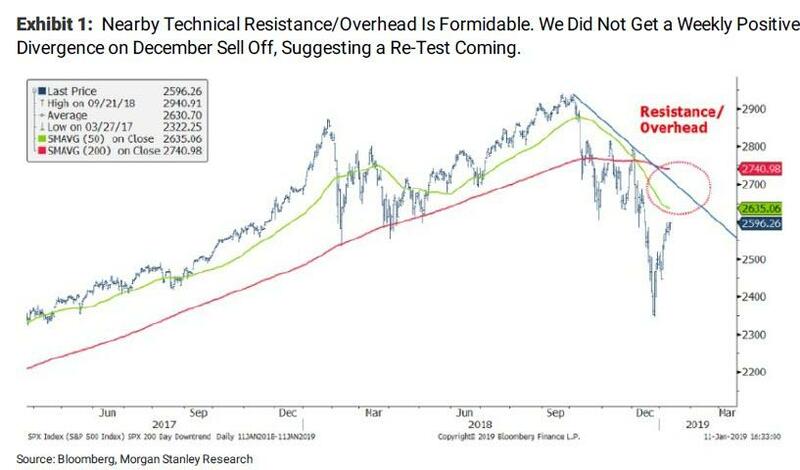 ... and a pair of earnings from Bank of America and Goldman which were "not as bad" as some had expected, but the key catalyst for the continued upside now that the S&P has risen above the key resistance level of 2,600 may be the equity “force-in” which as we discussed previously commenced yesterday, as systematic trend funds reduced their prior “Max Short” positions in SPX, NDX and SX5E through meaningful notional buying (and following the prior day’s covering in “Max Shorts” in Russell 2k, DAX, FTSE, Hang Seng, ASX and KOSPI as well), with CTA Equities trades now sized-down to a smaller “-82% Short” position according to Nomura's Charlie McElligott. As the Nomura strategist continues, with some systematic investors still on the fence about joining in the rally as we pointed out on Tuesday, the performance of equities continues to dictate the overall cross-asset sentiment, with the sliding VIX and "macro calm" provided by EPS season critical in maintaining this rally and further perpetuating this scramble back into adding exposure (gradually increasing net- and gross- hedge fund exposure) from the fundamental/discretionary side of the universe — and as McElligott observes, so far investors are increasingly comfortable “buying the lowered bar” following the powerful negative earnings revision impulse, although macro traders and risk parities continue voicing a desire to "short the rally," currently identifying the 2630-35 area (50% retrace of SPX 1Y move and 50DMA) as the next key resistance zone. 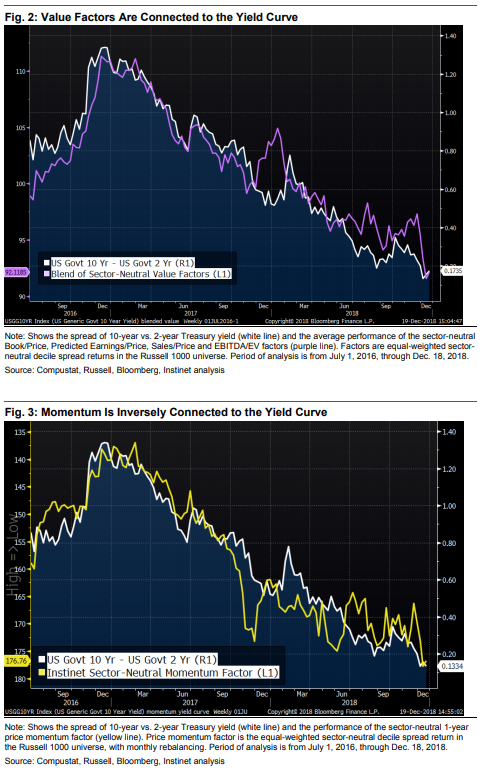 To the Nomura strategist, this "steepening" behavior in the yield curve will likely dictate the terms of trade for US Equities factors as the post-GFC period regime has seen steepening correlated to outperformance of “Value-”/underperformance of “Growth-” and “Momentum-” factors in US Equities. 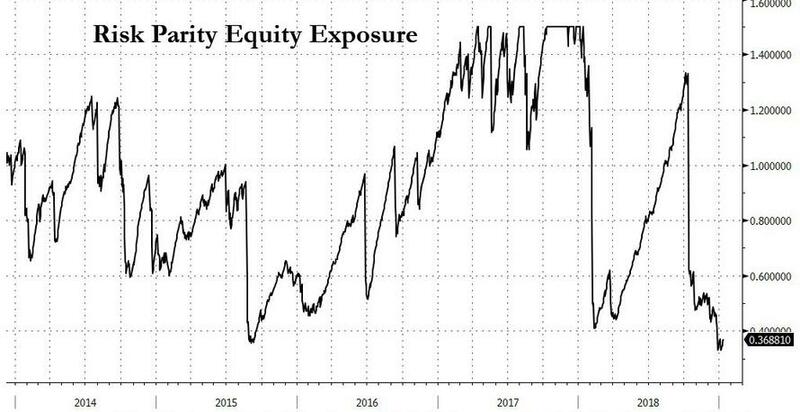 Just as we have suspected with regard to the response of Chinese authorities in addressing their economic slowdown and credit crunch, “it had to get worse before it got better”—recently collapsing Chinese data has now clearly forced an escalation of easing-/stimulus-/ liquidity- policies. 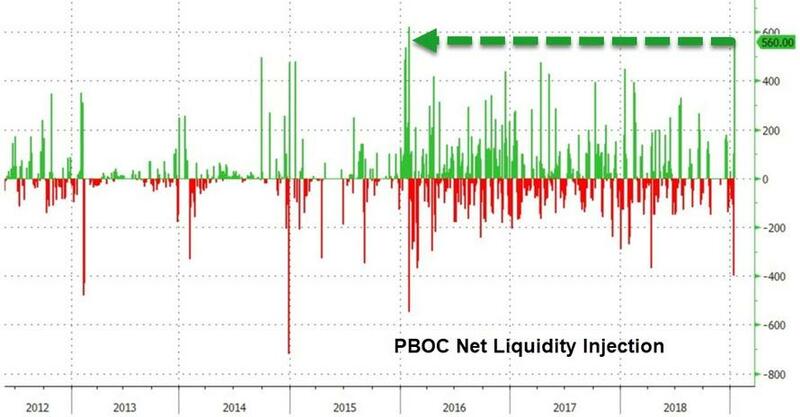 Sure enough, as we noted overnight, the annual PBoC liquidity injection to offset the pre-Lunar New Year holiday-/pre-tax payment peak- / maturation of MLF funds-cash drain went “full mental” - as Nomura calls it - last night, with the Chinese central bank injecting a record 560B Yuan ($84B USD) into the system using 7d reverse repo operations—the largest 1d cash injection in their history. This happens as Chinese Premier Li calls for more investments in infrastructure and services, while also voicing support for a “stepping-up” of targeted economic controls from authorities. It also comes after the “unified front” two days ago in a press conference between the PBoC, the MoF and the NDRC where new tax cuts, fresh measures to stabilize auto consumption and an announcement that authorities are supportive of increasing issuance of local government “special bonds” to stimulate infrastructure spending were all made in a “stimulus” spasm. Finally this short-term liquidity injection adds to the larger “credit impulse” being re-engineered by Chinese authorities, which on the headline level came in as “better than consensus” estimates across new aggregate social financing & new loans. In other words, while China is scrambling to offset the adverse effects of ongoing deleveraging, the question is whether or not it will succeed, with the risk of course being that continued trade war and economic slowdown spills over into other risk assets. 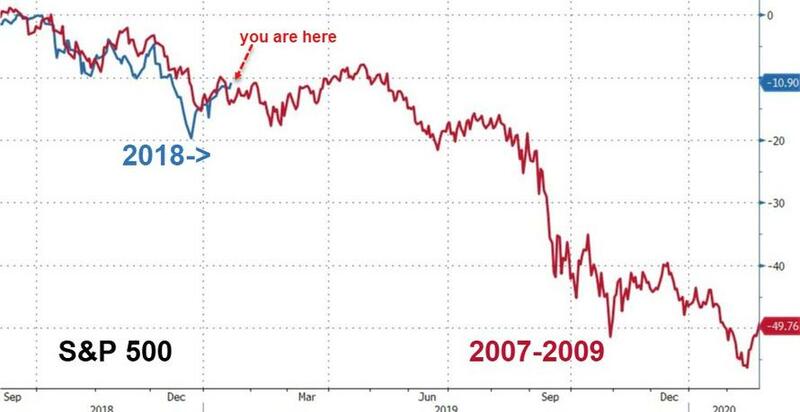 So keep an eye on both news out of China and the Lehman analog chart for clues if the torrid last December, early January rally is about to peak in just two days and roll over once again, as Morgan Stanley also predicted earlier this week, would happen.